OnePlus releases a new flagship phone every six months, unceremoniously killing its predecessor in the process. Every other launch is a so-called “T” version refresh: an opportunity to release a substantially similar phone with refreshed specs and a few feature changes, and of course introduce a small price increase. That’s what we have here with the OnePlus 6T. With this rapid release cycle, it’s tough to break the stigma of feeling like a company trying to extract water from a stone through excessive iteration with small price increases. And yet, the system works. The latest OnePlus phone is always on the cutting edge of specs and hardware trends. The diehard fans get something to look forward to every six months, and casual observers never have to question whether they’re getting a “new” phone. While there isn’t a huge difference between the OnePlus 6T and OnePlus 6, it’s the small things that give the OnePlus 6 the edge for me. The 6T is a bit thicker, with a more defined curve to pack a bigger battery. OnePlus says users will enjoy the curve in their hand more than the flat design of the OnePlus 6. Personally, I’m not one of those people, but the 400mAh of extra battery capacity makes this design change just about worth it. The display of the OnePlus 6T has a slightly smaller bottom bezel than the OnePlus 6, but honestly, the delta is hardly noticeable. The biggest physical change seen on the front of this device is the new teardrop-style notch. While the OnePlus 6’s notch was quite small in its own right, the 6T reduces the notch even further, resulting in an obstruction hardly larger than the single front-facing camera. OnePlus managed to shift the earpiece into the frame of the device, allowing for a noticeably reduced notch. I didn’t think this would make that big of a difference, but it was definitely noticeable while watching fullscreen content. OnePlus has also removed the headphone jack, apparently to increase battery capacity and make the sound chamber bigger. I don’t really buy this reasoning. I understand we now live in a world where the headphone jack is as good as dead in mobile devices, but it’s frustrating having one less company keeping it alive. The OnePlus 6T sports a 6.41-inch optic AMOLED display with a resolution of 2,340 x 1,080 and a pixel density of 402ppi. If you’re worried that 1080p isn’t good enough, don’t. You probably won’t notice the difference between 1080p and 1440p unless you’re watching content specifically tailored for that resolution, and almost all mobile content looks great in 1080p. The display of the OnePlus 6T is also technically brighter than the OnePlus 6, but again the delta is hardly noticeable. The screen looks good in nearly all situations, and it doesn’t have much trouble in direct sunlight. OnePlus also offers extra features like reading modes to help you use the screen more comfortably in the evening and before bed. 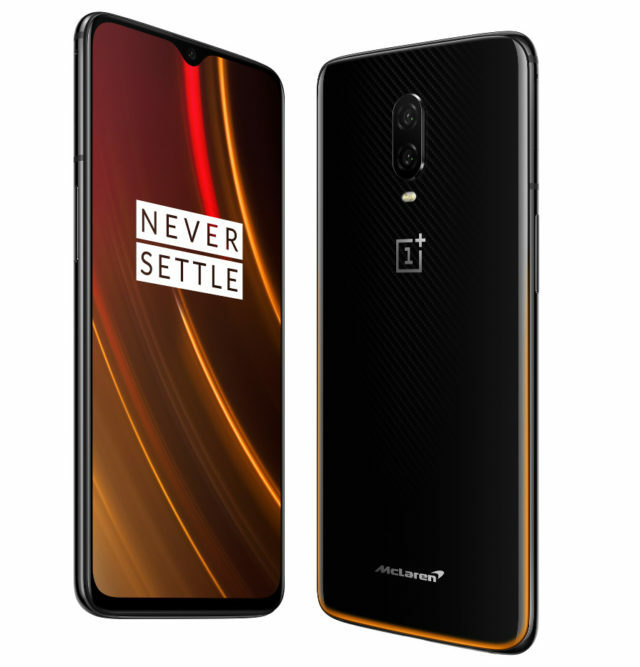 The OnePlus 6T has two cameras on the rear — one 16MP main shooter with a f/1.7 aperture and OIS, and a secondary 20MP shooter primarily used for depth sensing. The front-facing camera is 16MP. OnePlus hasn’t actually updated the camera hardware in the OnePlus 6T, but it made some adjustments to its processing and portrait algorithms, as well as adding a new Night Mode setting. Portrait mode, on the other hand, is quite good. Cutouts are generally solid, though accuracy can be hit or miss at times. In the examples above, you can see how the camera had trouble with the subject’s ears when photographed against a similarly-colored wall. Even so, I’m happy with the sharpness in this mode. Finally, we get to night mode, which OnePlus designed to help with dynamic range and sharpness in dimly-lit scenes. This definitely seems to be the case, and it is actually quite good at preserving highlights. The mode will also give you more detail where night scenes would generally be a bit smudgy, which is nice to see. This is effectively the same result as Google’s HDR+ mode which takes almost no time to process though, so I really think they should just add this processing into the default auto mode. OnePlus’ phones are all about being fast and smooth, and the 6T delivers on this promise. OxygenOS has been one of the most lightweight versions of Android for a while now, offering a few extra features and optimizations to make OnePlus’ phones feel fast. I never saw any significant frame drops during my time with the device, and things like Gaming Mode help give an extra boost of performance when you need it. With a larger 3700mAh battery in tow, I had no worries about battery life on the OnePlus 6T — as I frankly haven’t on any previous OnePlus phone. With an efficient processor, lightweight software and plenty of capacity, this phone lasts just as long (or longer than) the competition. I don’t make any attempt to ease battery usage on my phone, which means I leave the screen on auto brightness, have all of my accounts and notifications on, use ambient display, stream audio over Bluetooth and don’t hesitate to turn on my hotspot when I’m out of the house. OnePlus doesn’t skimp on hardware. The 6T runs the same Qualcomm Snapdragon 845 as the last generation, with 6 or 8GB of RAM and 128 or 256GB of storage to boot. 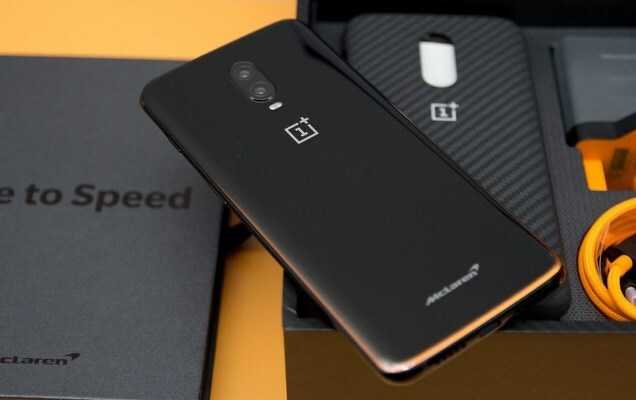 It’s interesting that the company would maintain the same core specifications as the OnePlus 6, but it improved on a few other departments instead to keep the device worth buying. OnePlus bumped the battery capacity in the OnePlus 6T from 3,300 to 3,700mAh, which it says should increase battery life by about 20 percent. Technically this is only a 12 percent capacity increase, but software improvements in RAM management help boost the 6T’s total screen-on time. 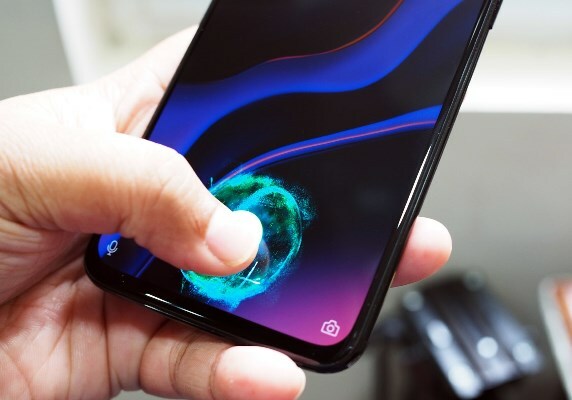 Probably the most highly marketed addition to the OnePlus 6T is the in-screen fingerprint reader. This optical reader shoots light up at your finger to read your print. It completely replaces the fingerprint reader on the rear of the device and works for logging into secure apps, as well as unlocking the device. Unfortunately, this scanner is often rather slow and sometimes inaccurate, though it’s definitely much better than first-generation readers in phones like the Huawei Mate RS. The technology still seems to need another generation to mature before it is as seamless as traditional fingerprint readers. OnePlus says this should get better over time, learning your fingerprint as you use it. OxygenOS is my favorite skin of Android ever. It hasn’t changed much since the OnePlus 6, but I don’t really care. The 6T launches with Android 9.0 Pie, with some updated navigation gestures to make the phone a bit easier to use, and some background optimizations. The first improvement is something called Smart Boost, which takes advantage of the extra RAM OnePlus crammed into the device to store key app data in memory, allowing them to open between five and 20 percent faster. Because two of the three models OnePlus offers have 8GB of RAM, there is plenty of extra memory to be had. Even the 6GB model likely handles this fine. It will be a limited product i.e. it won’t be produced in large quantity and the Nokia 9 price will range from $499 -$799 which is approximately up to 287k in Nigeria currency.